When it comes to reducing the risk of grease igniting inside your kitchen exhaust system and causing a fire, a kitchen exhaust hood cleaning in Irvine CA is a good place to start. However, it should by no means be the only tactic you use to clean your exhaust system. For best results, frequent kitchen exhaust hood cleanings and grease filter replacements should be used in conjunction with semi-annual steam cleanings. 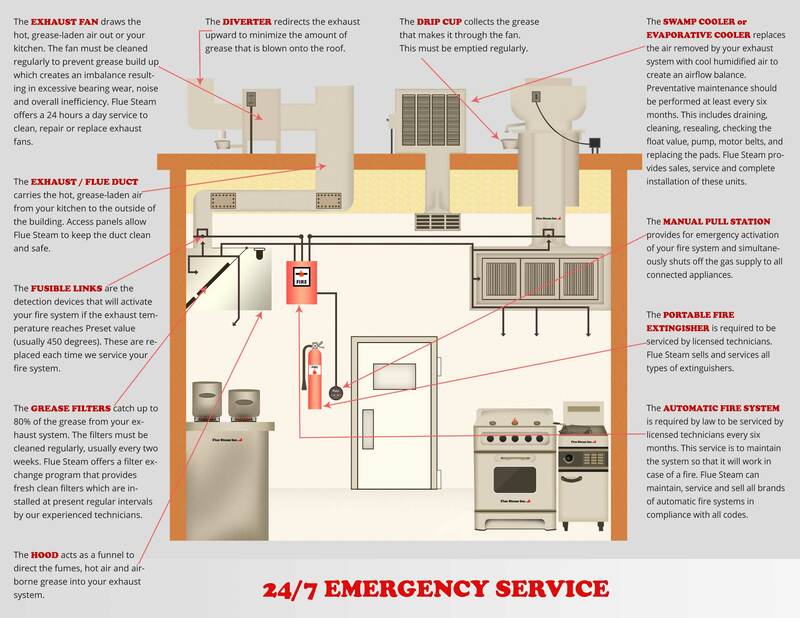 Flue Steam can help you with all of these services for a truly comprehensive approach to removing grease and preventing fires. 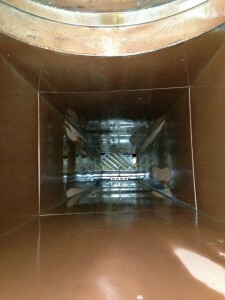 Do You Need Kitchen Exhaust Hood Cleaning in Irvine CA? Managing grease buildup in your kitchen exhaust system can be tricky. You want to keep the buildup from exceeding safe levels, but at the same time you don’t want to pay for unnecessarily frequent service. Hand-scraping is very a very effective and economical way of getting your kitchen exhaust hood cleaning in Irvine CA done. We can check the grease levels before and after we work, which will help us adjust the frequency of your cleanings to provide the best value. Ideally, we will be performing the cleaning right before the grease buildup in your hood reaches the danger mark of 0.125”, and reducing that buildup down to the desired level of 0.002”.